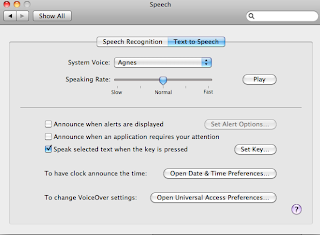 For Mac users: You can easily turn text into spoken word. This is useful if a child wants to read something online that would normally be too difficult to manage alone. 1. Click on System Preferences (under the Apple icon). 3. Choose a System Voice. 4. 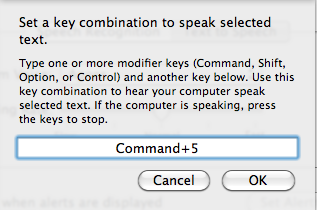 Click on Set Key and type in a key combination. Click OK.
You only have to do these steps once. Then, each time the student wants the computer to read aloud, simply highlight the text and click the key combination (mine is Command +5). 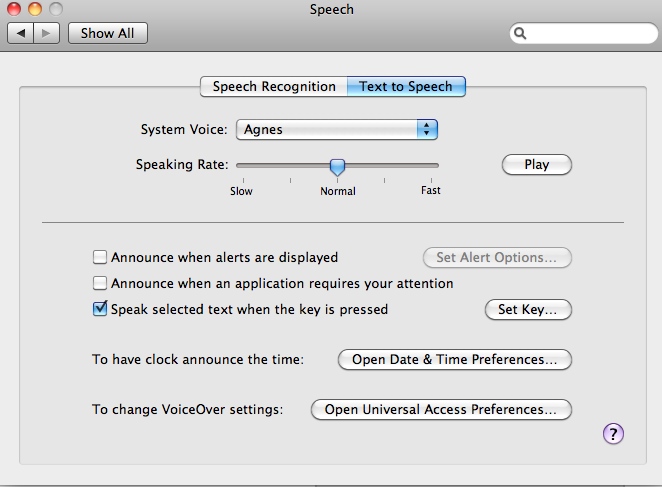 The computer will read the text aloud. This can be used with documents or online text.